Our affordable bike sheds come with ample storage space with two sizes currently available: 5’0” or 4’4” high. 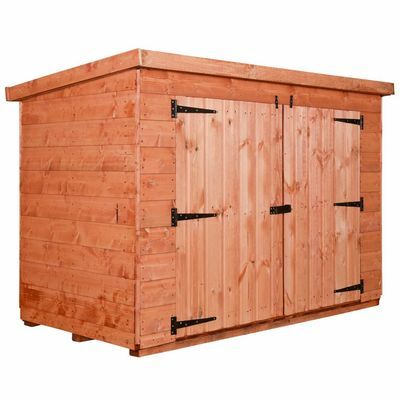 The double doors also make these sheds perfect for storing any other large items apart from bicycles such as tools, machines, lawnmowers, etc. 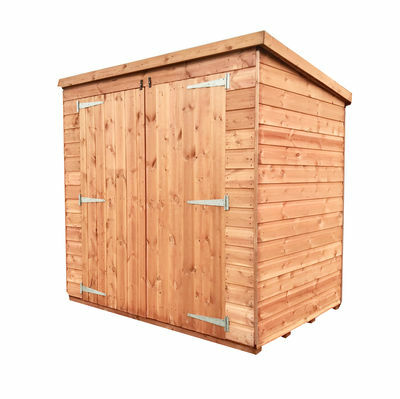 Our bike storage sheds come with full strong European softwood cladding and a durable red cedar water based treatment for extra durability. 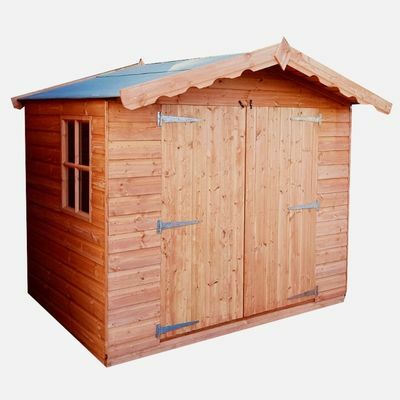 These sheds have no windows, which provides an extra layer of security and they also require very little maintenance. We offer a base laying service for an extra fee. This is sometimes necessary if your garden isn't level enough for a bike shed to be placed. A sub-frame can also be used if the ground is solid but no level. 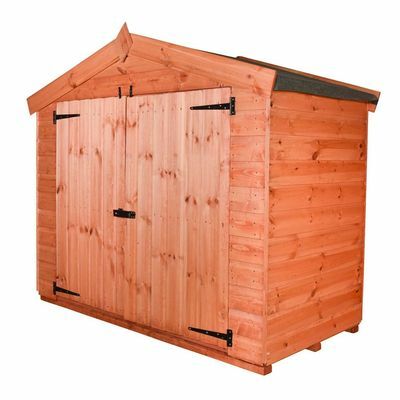 You can also take advantage of our shed removal service.